Mobile payments are facing two or three hurdles, any of which could doom any particular model. One of the longest and most significant roadblocks to a massive move to mobile for payments is the actual value proposition. Many consumers are still quite happy with the way they’ve been paying for their entire lives. Habits are difficult to break. And despite all the marketing for specific payment products, some consumers still are not aware of how certain mobile payments work. Some require apps while others a tap to a terminal, thanks to NFC technology inside, and it’s not always clear to a consumer which time to use which approach. Meanwhile, there are some significant innovations around payments being led by several major brands. For example, Starbucks is opening a location at one of its corporate headquarters floors that has mobile ordering and paying exclusively. Amazon Cash lets consumers pay with a mobile barcode and Dunkin’ Donuts is letting loyalty members mobile order ahead, as I wrote about here recently (Starbucks, Amazon, Dunkin’ Donuts Drive New Mobile Payment Behaviors). Those are causing modified consumer behaviors, at least by customers of those companies. The latest twist in this evolution is that apps are back in vogue. For mobile Web users, apps account for 85% of time spent, according to the latest stats from eMarketer. Then there are the global aspects, since the major mobile payments providers are seeking markets around the world. Samsung Pay, for instance, has been introduced into 12 countries. The advantage of Samsung Pay, thanks to its acquisition of Boston-based Loop some time back, is that it works at most terminals where a credit card swipe works. This means merchants don’t have to upgrade terminals to able to take payments that way. The other major advantage is that from the consumer’s standpoint, Samsung Pay seems to work essentially everywhere. Apple Pay is different, since merchants have to have updated checkout terminals and ‘accept’ Apple Pay. There are other challenges there. More than two years after its launch, fewer than a quarter of eligible users have even tried Apple’s wallet, according to data from PYMNTS and InfoScout appearing in Business Intelligence. The most significant barrier is a lack of interest. About half (49%) of eligible users don’t try Apple Pay because they don’t perceive it to be better than their current payment methods. Even worse, that’s an increase of 3% from the previous year. There’s bit of good news for Apple here. A year ago, 26% of people were not familiar with how Apple Pay works and now it’s down to 24%. The third barrier, commonly at the top of every list of mobile payments obstacles, is security. That number dropped a little over year, with 21% of those who could use Apple Pay being concerned about its security. It’s also not only the mass makers of smartphones getting into the payments act. Visa recently partnered with Samsung so that Visa Checkout could be used via fingerprint-enabled Samsung devices so that a shopper could click the Visa Checkout/Samsung Pay button at checkout, touch the fingerprint sensors and be done. 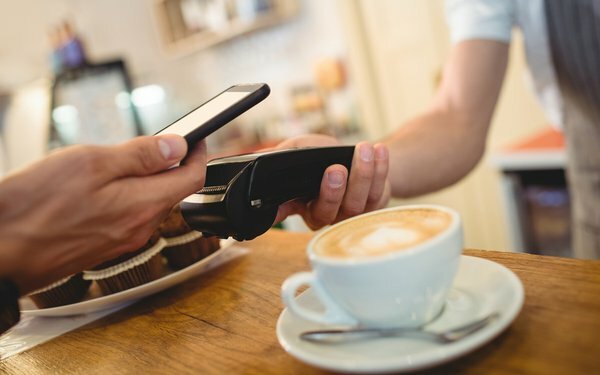 The reality is that rather than a market settling on one, major mobile payment method, consumers will be faced with an increasing number of ways to use their phone to pay. Now, if they only had a roadmap of that. Or cared to want one.